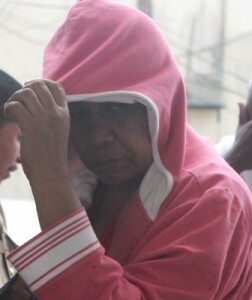 Sixty-two year old Estella Gonzalez, a Honduran national with Belizean naturalization, was before the court last Friday on ten counts of Employing a Person Not in Possession of a Valid Temporary Permit after a shake down at the Temptation Bar located at Mile ten on the George Price Highway. Gonzalez pleaded guilty to the ten counts and was fined a total of ten thousand dollars. But Gonzalez was back before the court today for Human Trafficking of a fifteen year-old minor. Allegations are that between August nineteen and September seventh 2013, she harboured the minor at Mile eight on the George Price Highway for the purpose of exploiting her as a prostitute. There was no objection to bail by the court prosecutor, Sgt. Egbert Castillo, so she was granted bail in the sum of two thousand dollars. But she was ordered to surrender her passport and not to leave the jurisdiction without the permission of the court. She is also to stay away from any prosecution witness and report to the Hattieville Police Station every Wednesday until her case is heard. Her next court date is set for March twelfth, 2014. By four o’clock this afternoon, Gonzalez was rushed into a vehicle that was waiting for her in the parking lot. She is like Penner, both of them are team players. They took one for the team. Take her papers away that’s all she is doing using the papers to break the law. 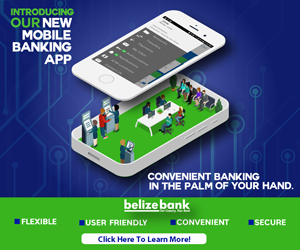 How bout all the Nigerian Jamaican Haitian protitutes in Belize they never get caught only the Spanish bigotry from this gov. Send her @&& back to Honduras. She doesn’t OWN the place, nor does she personally pay their salaries. So whats the hold up? Besides being ignorant(as in not being able to properly read & write), you have a serious Race broblem. You should first go to school. While learning the basics,you may learn to be open minded & not focus on race. Well imagine she must not be very worried look who is her brother in law Mr Chee from Brads who run th Belize boledo….